A new report from the University of Illinois at Chicago’s Policing in Chicago Research Group, Tracked and Targeted: Early Findings on Chicago’s Gang Database, provides the most comprehensive and up-to-date information on the Chicago Gang Database and the harms that it causes Black and Latinx communities in Chicago. 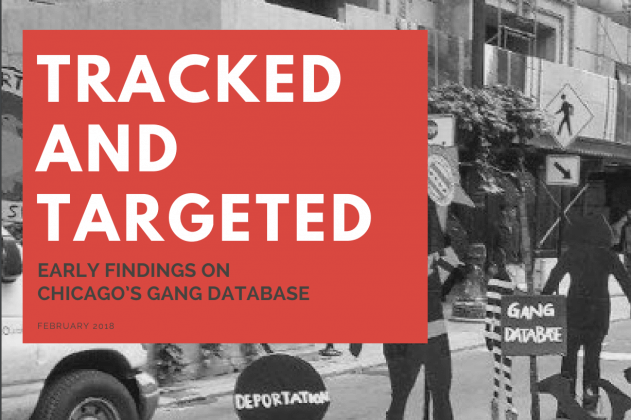 “The report makes clear why communities of color in Chicago are upset about the gang database. The CPD overwhelmingly targets Black and Latinx youth for inclusion in the database,” says Andy Clarno, director of the Policing in Chicago Research Group that conducted the research. “And, as the report shows, federal law enforcement agencies such as ICE and the FBI have access to this information, putting immigrants on the list at heightened risk for deportation. People on the database are also subject to police harassment as well as more severe bail, bond, and sentencing decisions,” he concluded. There are more than 128,000 people on the Chicago Gang Database. 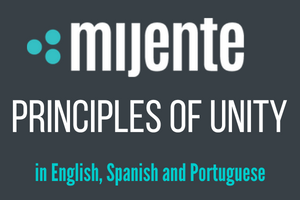 A large majority of the list (95%) is Black and Latinx, disproportionately affecting communities of color. As this report highlights, approximately 11% of Chicago’s total Black population, 4% of the Latino population, and 0.6 %of the white population is in the gang database.